Nha Trang City a tourist famous city lies on the Nha Trang Bay where has been acknowledged as one of the most beautiful bays in the world. You can find here everything you need for a wonderful holiday from yellow sunshine, blue sea, white sand and cool wind together with interesting outdoor amusements on Hon Tre Island. Arrive at the Nha Trang Airport, then private van will pick you up and drive you to hotel in Nha Trang city. In the afternoon, you will be taken to visit the following attractive places: Long Son Pagoda (with a giant Buddhist statue on the hilltop), Oceanographic Institute (a remarkable tank with many colorful live sea specimens), Cham Tower (Ponagar Temple) built in 8th century. Chong Promontory (two big rocks called husband & wife rock). 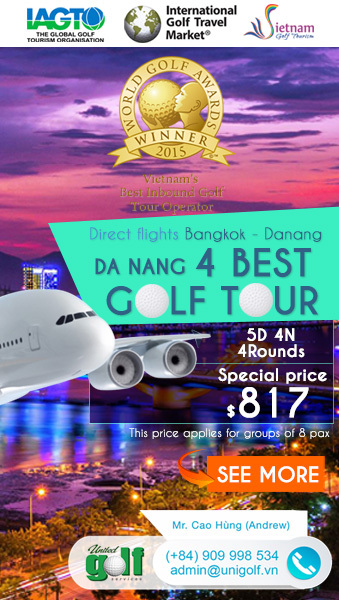 You will play a round of golf at Diamond Bay Nha Trang Golf Club. The course has an excellent natural habitat. Here, you can feel the fragrance of the grass, breeze of tropical sea, especially the hit to sea driving range. The world has about 50,000 golf courses, but there are only 1% are allowed to play the sea. After playing golf, you can spend time to relax and gain your health in mud bathing. Golf round at Vinpearl Golf Club Nha Trang. 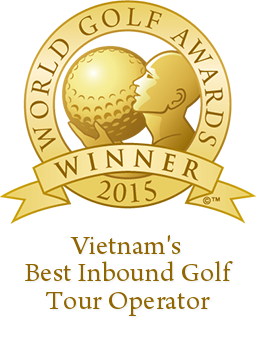 The course was designed by IMG Worldwide (US) – The global leading golf course management company, the 18-hole, par 71 championship golf course measures 6,787 yards and is Vietnam’s first international standard golf course that has ocean view from every hole in Viet Nam. After 18 holes of golf, “Entertainment Paradise” of Vinpearl Land Nha Trang will be your wonderful “19th”. 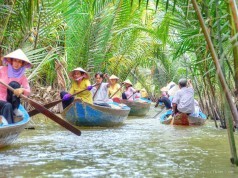 Leave Nha Trang behind after visiting Dam Market – the 100-year-old market. Many people say that the road from sea city Nha Trang to flower city Da Lat is the most beautiful road that they’ve ever ridden. You will have to scream “Wow! It’s just so awesome!” again and again. Along the way, you can stop by the Yang Bay waterfall. Round of golf at Da Lat Palace Golf Club. 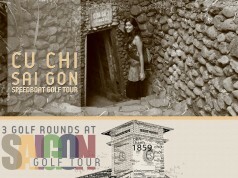 The 9-hole course initially designed by a French architect in 1922 as a private golf course for Emperor Bao Dai, Vietnam’s last Emperor. 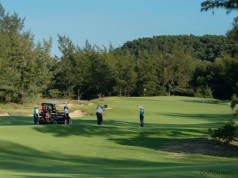 Contrary to the other courses in VN, with its year-round cool weather, Dalat Palace Golf Club is the only golf course in Southeast Asia with Bent grass tees, fairways and greens. Located in the zone of Tuyen Lam Lake, Sacom Tuyen Lam Golf Resort is 15 kilometers from Dalat City center. It is a resort with harmonious combination between green spaces of the nature and modern comforts of the artificial works. The course was built to international standards with Par 72 (7,131 yards in length), as a charming green pearl attaches golf lovers and tourists visiting the Da Lat Flower City. Nha Trang: 4-star Bavico International Hotel. Located in the heart of the sea city, the 25-story hotel offers a panoramic views of ocean, river, city and mountains. Da Lat: 4-star Ngoc Lan Hotel. Located in the heart of Dalat with stunning views of the picturesque Xuan Huong lake and Da Lat Market. Guests to the hotel can now enjoy the completely new and luxurious hotel with the exquisite warmth and hospitality brought by the attentive and professional staff.